Apple has topped Forbes' World's Most Valuable Brands List for third straight time. Microsoft, Coca-Cola, IBM, and Google round out the Top 5. 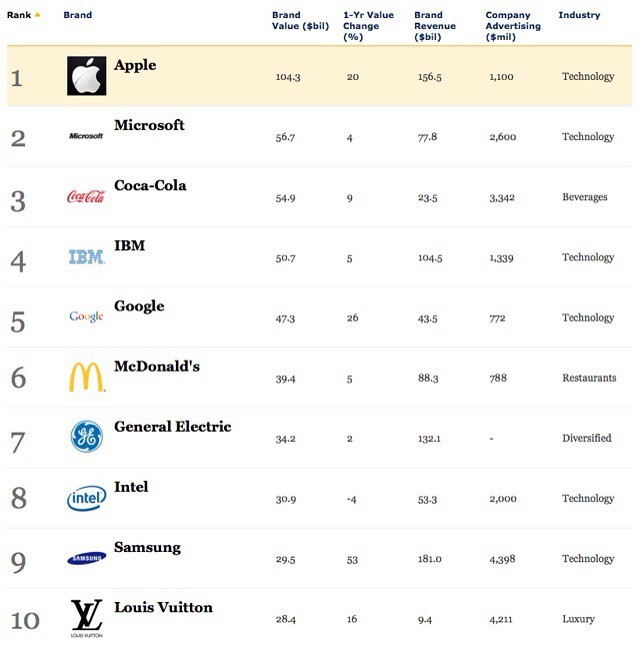 Apple is the most valuable brand in the world for a third straight time at $104.3 billion, up 20% over last year. It is worth nearly twice as much as any other brand on the planet by our count. You can see the top ten brands in the chart below or hit the link for the full list!